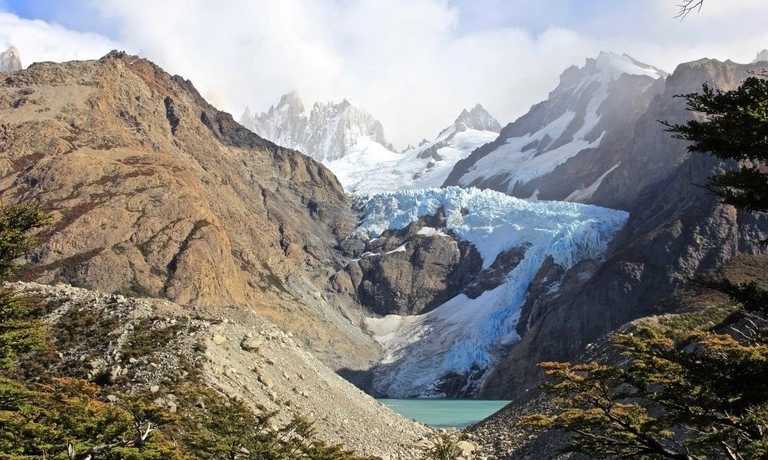 See Cerro Fitz Roy and Cerro Torre, and hike on a glacier, in this programme with 3 full days of trekking based out of El Chalten. Camping in the mountains, returning to a cosy lodge in Chalten at the end. 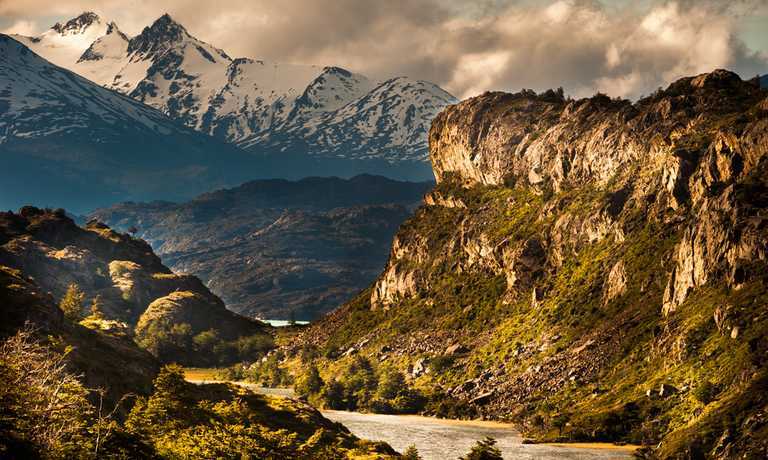 Arrive into El Chalten and have a meeting with your guide. Have a thorough briefing about the following days and enjoy dinner together. Full day hike following Rio Blanco towards Fitz Roy base camp. There's also an optional side walk to Lake de los Tres (weather conditions and group performance dependent). 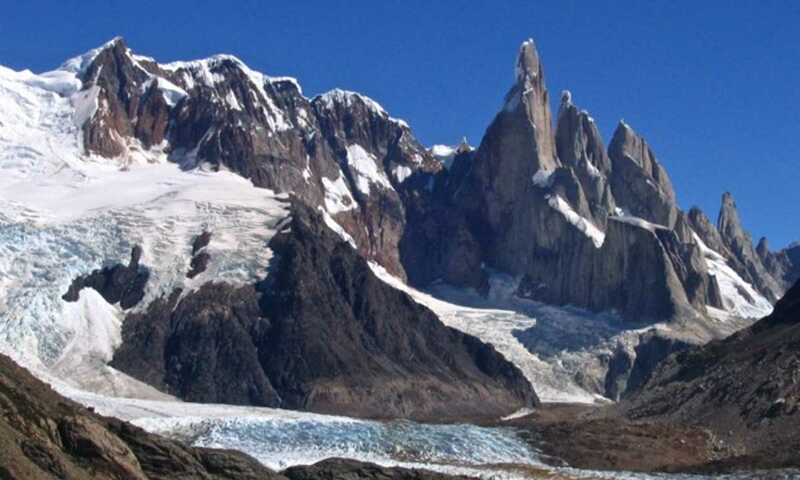 Then onto the next valley across Lakes Madre e Hija, to arrive at Cerro Torre Base Camp (Camp Thorwood). A short distance from base camp, there is a Tyrolean rope to cross the Fitz Roy River near Torre Lake. The trail follows the rim of a lateral moraine slowly approaching the ice. The day is spent on the ice, enjoying wonderful views and even doing some introductory Ice-climbs. After breakfast, the return walk to El Chalten begins, following the valley straight down into town.